Melissa Macauley (Ph.D., Berkeley, 1993) specializes in late imperial and modern Chinese history. Her research interests include social history and legal culture, the interconnected history of southeast coastal China and Southeast Asia, the dynamics of transnational crime in the context of migration and trade, and the transformation of non-Western law in the age of colonialism and imperialism. She is completing a book on the entangled history of a region on the southeast coast of China (Chaozhou or Teochew) and the port polities of the South China Sea from the seventeenth century to 1927. Her first book, Social Power and Legal Culture: Litigation Masters in Late Imperial China, was named a Choice Outstanding Academic Book in 1999. Her work has been supported by the American Council of Learned Societies, the National Endowment for the Humanities, the Mellon Foundation, the U.S. Department of Education (Fulbright-Hays), and the Bunting Institute of Radcliffe College, among others. She also has served as the An Wang Postdoctoral Fellow in Chinese Studies at Harvard University, a member of the Institute for Advanced Study (Princeton, NJ), and a Senior Research Scholar at the Institute for Qing History at Renmin University (Beijing). 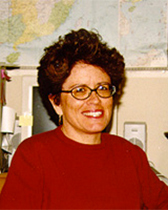 She was awarded a Distinguished Teaching Award in 1999 and named a Charles Deering McCormick Professor of Teaching Excellence in 2004. “Entangled States: The Translocal Repercussions of Rural Pacification in China, 1869-1873.” American Historical Review 121.3 (June 2016): 755-79. Shehui quanli he falü wenhua: Zhonghua diguo wanqi de songshi [Translation of Social Power and Legal Culture]. Tr. Ming Hui. Beijing: Beijing University Press, 2012 (with new preface). “Small Time Crooks: Opium, Migrants, and the War on Drugs in China, 1819-1860.” Late Imperial China, 30.1 (June 2009): 1-47. “The Disputation of the Body-Snatchers: Scandal in Chinese Legal Culture.” In Joseph W. Esherick, Wen-hsin Yeh, and Madeleine Zelin, eds. Empire, Nation, and Beyond: Chinese History in Late Imperial and Modern Times—A Festschrift in Honor of Frederic Wakeman. Berkeley: Institute for East Asian Studies, 2006, pp. 58-77. “Tiaozhan quanwei: Qingdai fashang de guafu he songshi” [Contesting authority: Qing widows and their litigation masters at law]. In Meiguo xuezhe lun Zhongguo falü chuantong [American scholarship on Chinese legal traditions], revised edition. Ed. Gao Daoyun [Karen Turner], Gao Hongjun, and He Weifang. Beijing: Qinghua daxue chubanshe [Tsinghua University Press], 2004, pp. 552-78. “A World Made Simple: Law and Property in the Ottoman and Qing Empires.” Journal of Early Modern History V.4 (December 2001): 331-52. *Reprinted in Huricihan Islamoglu and Peter Perdue, eds. Shared Histories of Modernity in China, India, and the Ottoman Empire. London and New Delhi: Routledge, 2009, pp. 273-98. *Translated as “Gouzhu yige jianyue de shijie: Aosiman diguo he Qing diguo de falü ji caichan.” In Zhang Shimin, Bu Dewei, and Na Haoya, eds. Shijie xuezhe lun Zhongguo chuantong falü wenhua [International Scholarship on Traditional Chinese Law]. Beijing: Falü chubanshe, 2010, pp. 299-326. Social Power and Legal Culture: Litigation Masters in Late Imperial China. Stanford, CA: Stanford University Press, 1998. "Civil and Uncivil Disputes in Southeast Coastal China, 1723-1820." In Kathryn Bernhardt and Philip C.C. Huang, eds. Civil Law in Qing and Republican China. Stanford, CA: Stanford University Press, 1994, pp. 85-121. Melissa Macauley is an award-winning instructor who teaches a wide array of courses on Chinese, global, and comparative history at the graduate and undergraduate levels. History 103: "China in the American Imagination” (First-year seminar). History 395: “Imperialism in Asia” (Research Seminar). History 395: “Sino-American Relations in the Twentieth Century” (Research Seminar). Fellowship, National Endowment for the Humanities, 2012. Appointed Gerald F. and Marjorie G. Fitzgerald Chair in Economic History, 2012. Member, Institute for Advanced Study, 2008. Appointed Charles Deering McCormick Professor of Teaching Excellence, 2004. Fellowship, American Council of Learned Societies, 2004. Fellowship, Fulbright-Hays Faculty Research Abroad, 2004. Fellowship, American Council of Learned Societies/National Endowment for the Humanities, National Program for Advanced Study and Research in China, 2000. Fellowship, Fulbright-Hays Faculty Research Abroad, 2000.